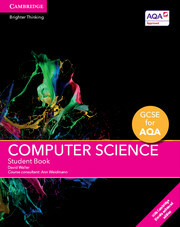 Our suite of blended print and digital resources are tailored to the new AQA and OCR GCSE Computer Science, for first teaching from 2016. 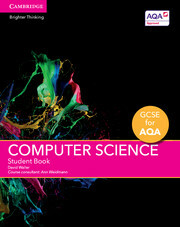 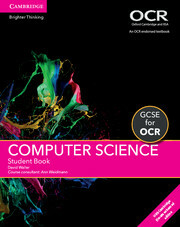 Our GCSE Computer Science resources focus on developing students' computational thinking, programming, problem-solving and key mathematical skills throughout; enabling them to master underlying computing principles and concepts. 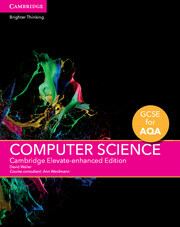 Containing contextual activities, less confident students will be supported and the open-ended challenges will stretch the more able. 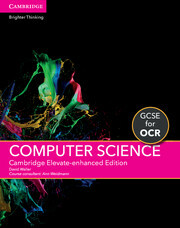 Putting computer science into a professional context and highlighting how computing skills apply to the real-world, the Cambridge Elevate enhanced edition contains rich digital content including animations that help students relate computer science to everyday life. 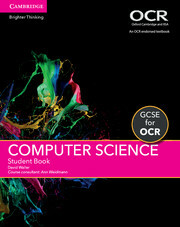 Also supporting teachers with a free Teacher’s Resource available online.